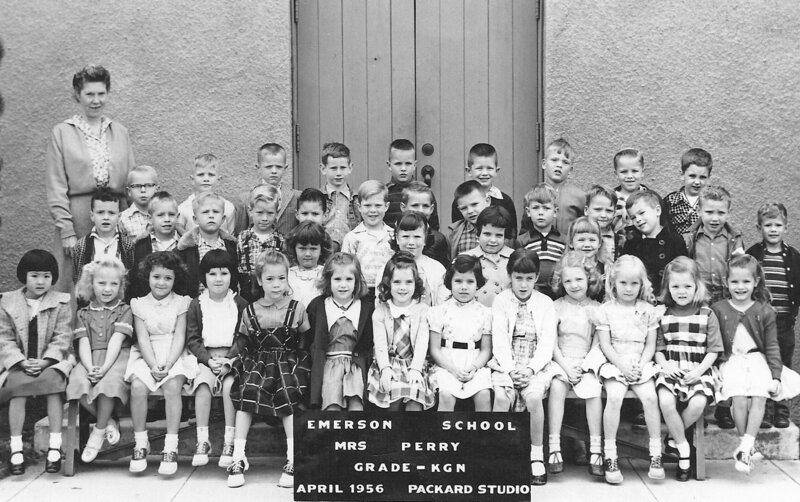 Mrs. Perry’s kindergarten class, Emerson School, 1956. My first reaction when I saw this picture was, “Wow, look at the size of the class!” One teacher and thirty-nine children is unheard of these days. It’s obvious where I am in the photo — I’m on the far left in the front row, the only Asian in the whole class. These days, the classes in Burbank are much more racially diverse. I’m wondering how many people you can identify. In the front row, third from the left is Nazira Thomas, next is Jeanette Gosling, then Kathy Wagner. Jill Gipson is in the front row, fifth from the right, and next to her is Barbara Weitbrecht. Next to Barbara is Karen Walther. On the far right, front row is Tenny Battles. Carole Aikin is right in the middle, second row, and I think that’s Steve Irey, in the back row, fourth from the left. Norm Sabin is here, too. Of course, a lot of these people became Burbank High grads, class of 1968. 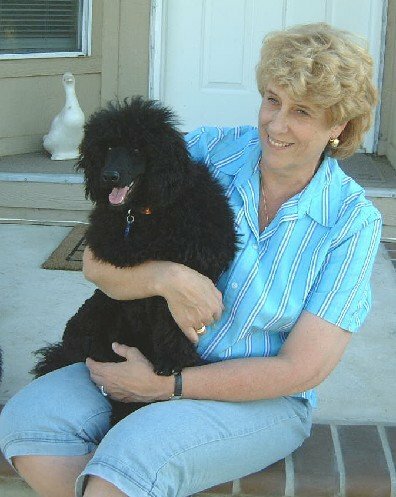 Jill says that she is “very happily retired” and is the owner of custom Swarovski “blingwear” for dog lovers. You can view her designs by clicking here. She also appeared on the Bonnie Hunt Show, which you can watch below. Posted by Katherine Crosier on April 7, 2012 in Burbank High School and tagged Barbara Weitbrecht, Carole Aiken, Emerson School, Jeanette Gosling, Karen Walther, Kathy Au, Nazira Thomas, Norm Sabin, Steve Irey, Tenny Battles. Thanks for sharing all the fun times, Kathy! Actually, that is me 4th from the right. I think it is Linda Collins next to me in the 5th position, but I could be wrong. And isn’t that Bobby Chamberlain in the back row, far right? I marvel at the size of this class, too. Of course, in our day, children behaved differently than they do now, and had so much respect for their teachers. Kath, you’re right. I am the 5th and Linda Collins is the 6th. I completely missed Tenny sitting there on the end.